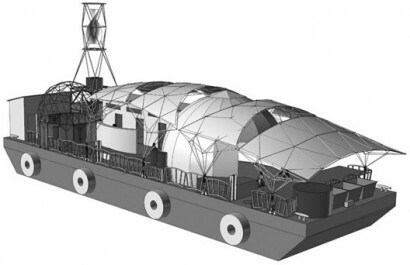 The Waterpod is a floating art project, community and living space on a barge. 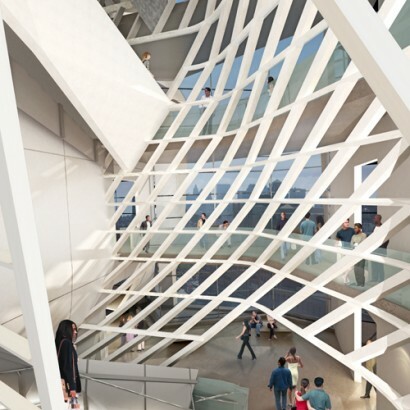 The structure is built from recycled wood, billboard sign material, metal and powered by a hybrid solar/wind system that also runs all on-board equipment. 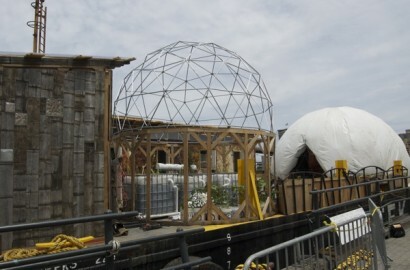 The barge also incorporates a garden with vegetables (lettuce, sunflowers, corn, eggplant and e.t.c ) grown with purified water from the vertical agriculture. 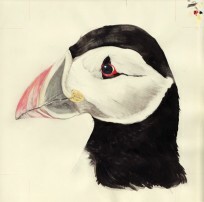 Four artists live on the barge and are very friendly to talk to you about their project. There is also a chicken coop made from recycled shipping crate previously used to ship artworks. 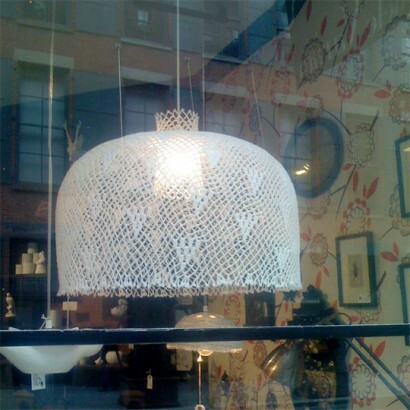 Above: Crocheted lampshade at Michele Varian, photo from Apartment Therapy. 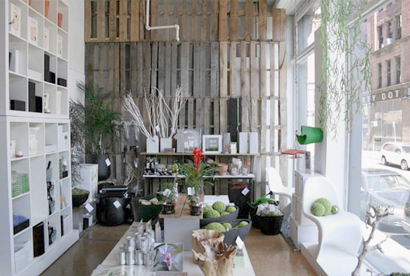 The other day I was walking in Manhattan on the Lower East Side and discovered an amazing store full with all kinds of vintage, restored and designer objects. 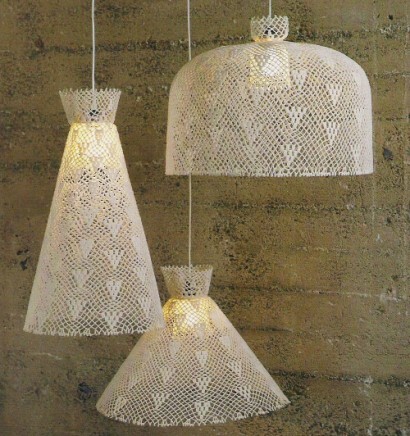 One of my favorite is a crocheted lamp shade. The fabric is starched to maintain its form. 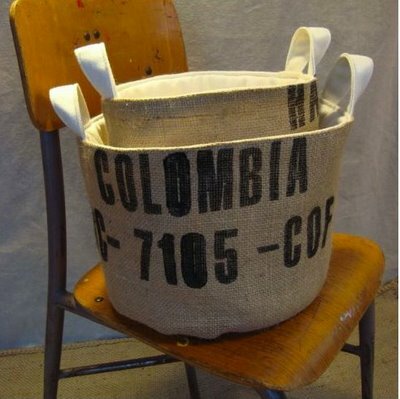 Bags from re-purposed, recycled coffee sacks! 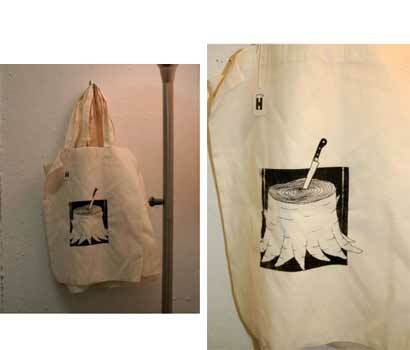 Lined with a soft unbleached cotton. 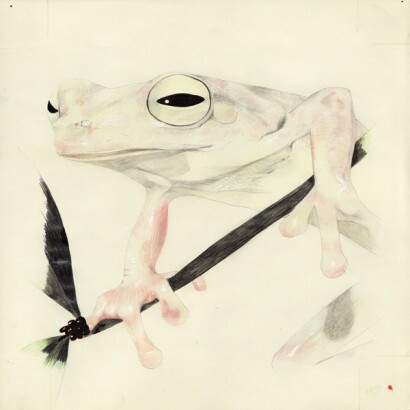 by Mayamade. 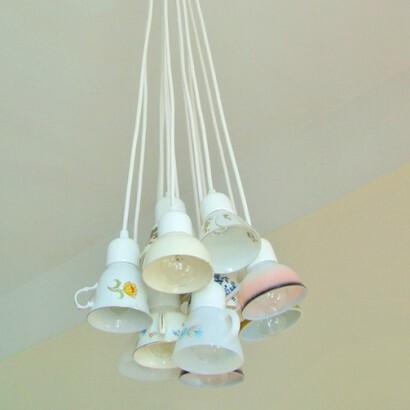 I love lighting made from old teacups and milk bottles! (as you already could have guessed from my previous blog postings) I found this teacup chandelier by Domestic Construction and this milk bottle chandelier by Bonne Plat on the Conversation Pieces Blog - blog about finding neat, sweet and unusual items in junk and charity shops, online, and everywhere else in between. 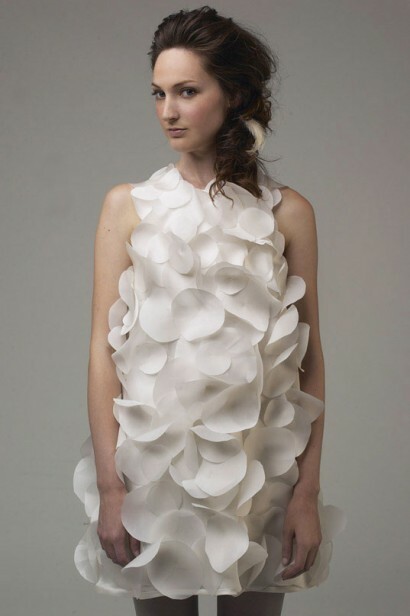 Kaelyn Garcia’s Organic Cotton and natural silk sateen circle dress. 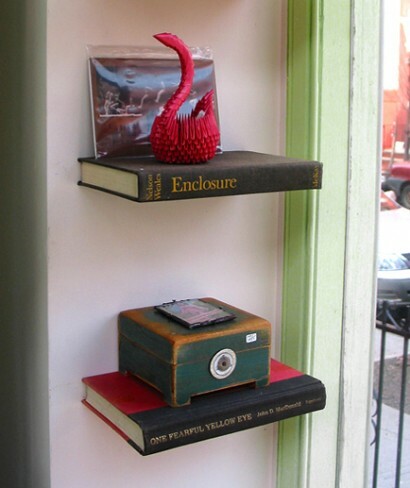 Book shelves made from old books - http://www.littlefishfurniture.com/. 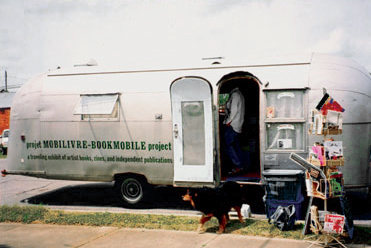 Projekt Mobilivre - Bookmobile Project is primarily based in Montreal and Philadelphia. 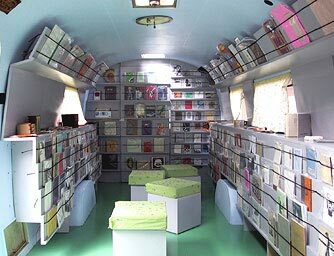 It is a trailer converted into a small mobile gallery and library that showcases handmade books and zines from all over the world. Traveling through Canada and US, this bookmobile visits community centers, schools, colleges, libraries, festivals and artist-run centers. 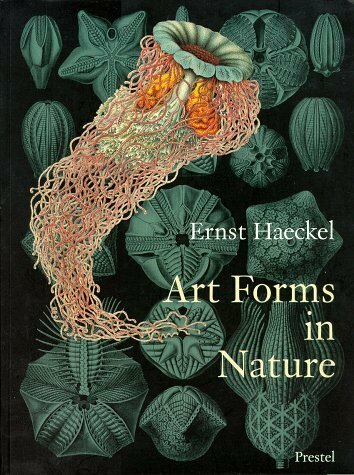 I happened to run into Mobilivre-Bookmobile while I was studying at The Cooper Union for the Advancement of Science and Art and was stunned by the idea of a traveling gallery/library. Bookmobile is a vehicle designed as a traveling library. 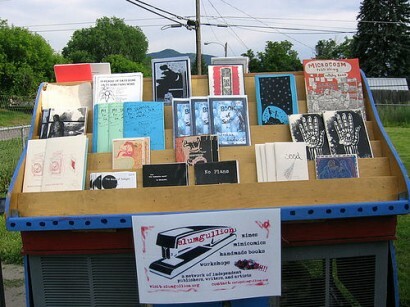 Slumgullion, is a collaboration project that strives to create community, empower young voices, and promote literacy and the humanities through the book arts and zines. 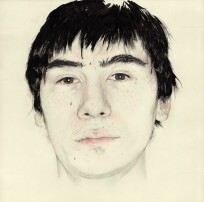 It is based in Missoula, Montana. 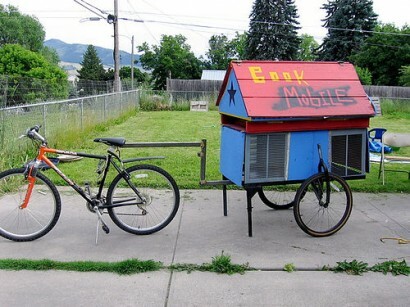 Slumgullion’s bookmobile exhibits handmade books, art zines and is just like a regular bookmobile only it is bike powered! 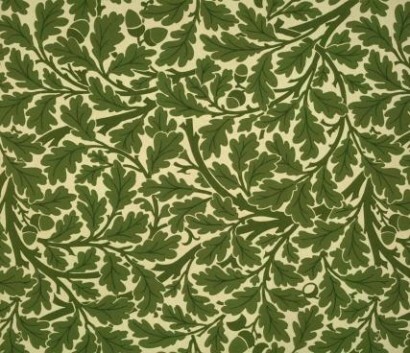 I love these beautiful nature inspired wallpaper designs by William Morris. 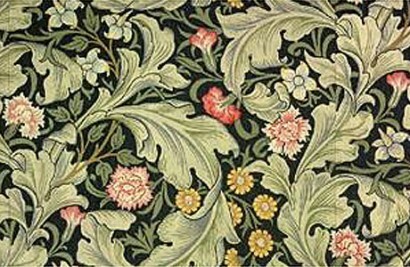 William Morris was an English architect, furniture and textile designer, artist, writer, and socialist associated with the Arts and Crafts Movement. 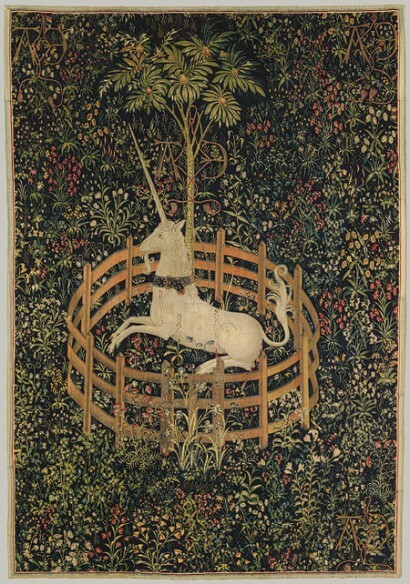 The Arts and Crafts Movement was a British, Canadian, and American aesthetic movement of the 19th and early 20th centuries that influenced arts, crafts and architecture. 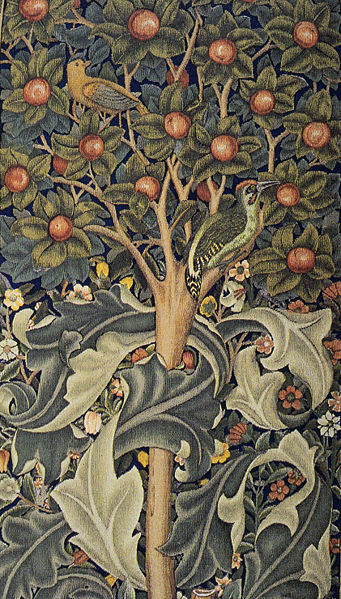 The Arts and Crafts Movement was inspired by the writings of John Ruskin and a romantic idealization of a craftsperson taking pride in their personal handiwork. 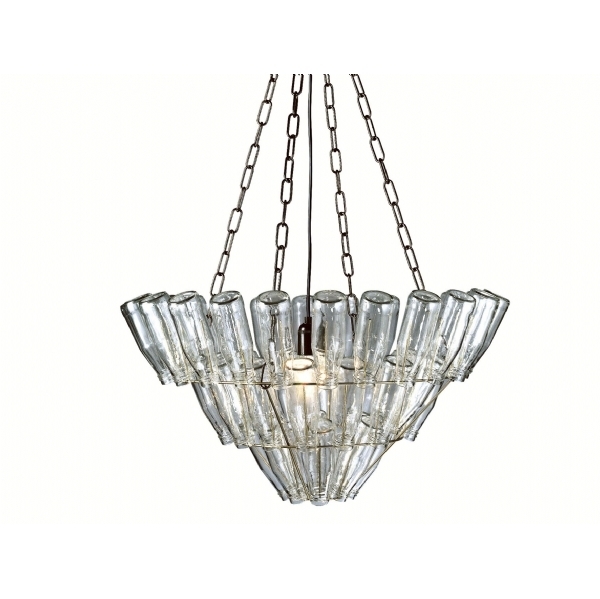 The movement was a reaction to the eclectic revival of historic styles of the Victorian era and to “soulless” machine-made production aided by the Industrial Revolution. 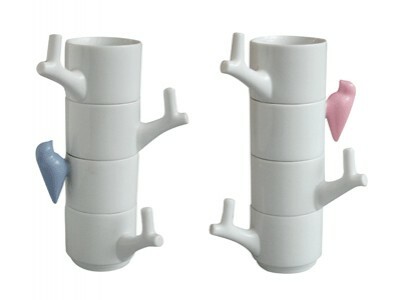 Really cute tree and nature inspired stackable ceramic cups by Chris Koens! 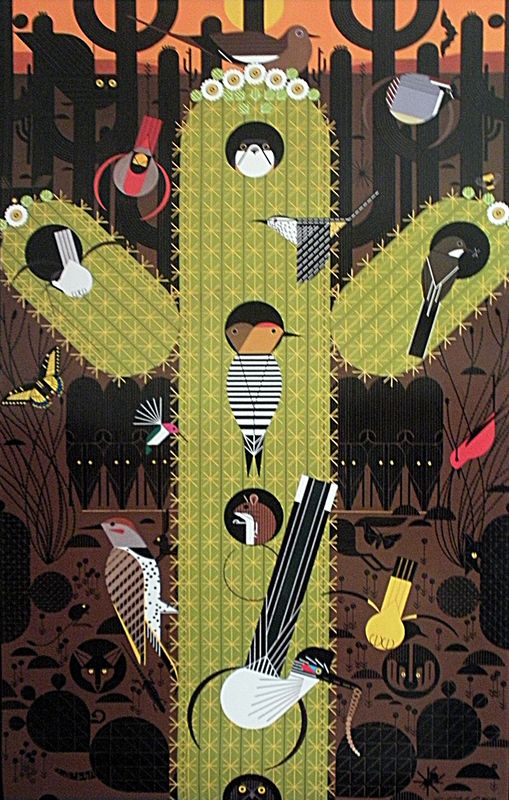 I love Charley Harper’s print, The Desert. Wow. 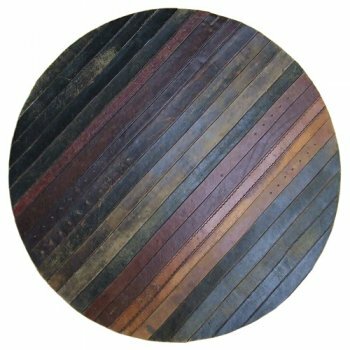 Handmade floor mat from old vintage leather belts. 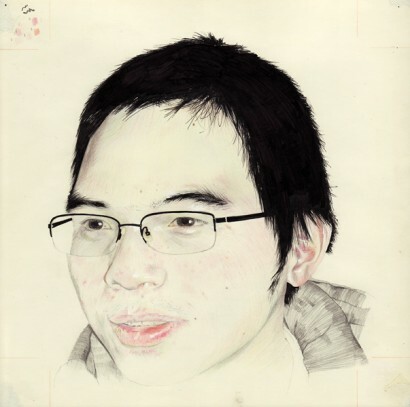 Design by Inghua Ting. 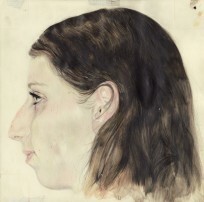 I went to NYU open studios today and this is what I found. Very talented artist and designer - Hana Tanimura. 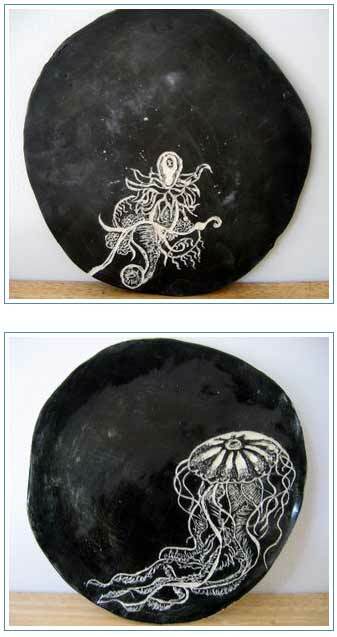 Beautiful ceramic plates inspired by Ernst Haeckel’s biological drawings (book named Art Forms in Nature) by Megha Patel. 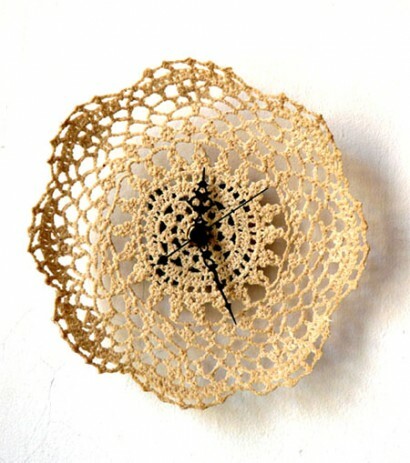 Siesta stiffened crocheted doily by Stanley Ruiz . This is really nice. I even was thinking of making it myself - taking old lace, stiffening it with starch… but it probably would not be as nice as the one above. 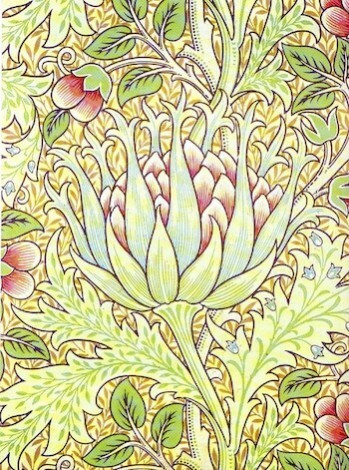 MANILLA MADE is a blog about all things ethical organized by Helen Cuthbert, a textile designer in UK. 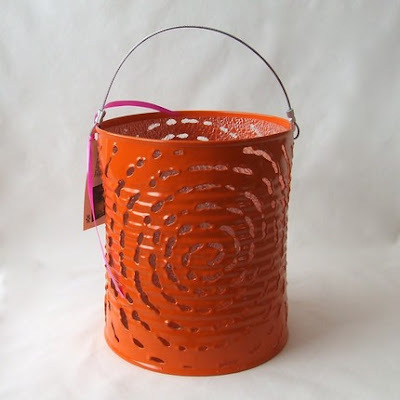 All things ethical are all things handmade, recycled, bright and colorful! 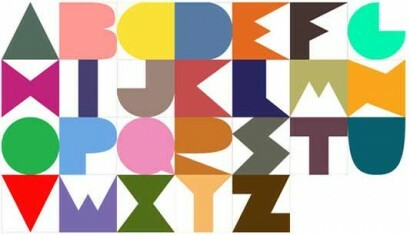 I love this blog. 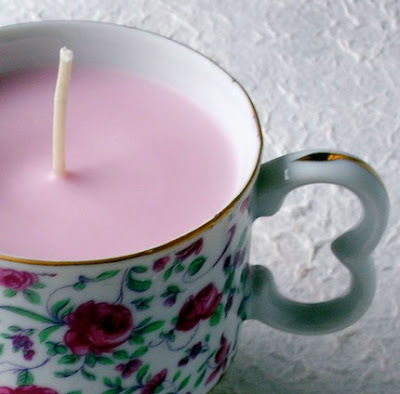 My favorite pieces on this blog are: vintage glass salt and pepper shakers, handmade shadow lanterns made out of recycled metal food cans, and soy teacup candles!!! I just found this amazing online store called Three Potato Four. 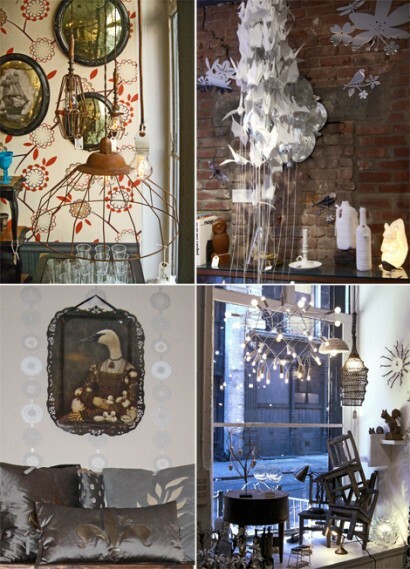 Three Potato Four is started by Janet Morales & Stu Eli because of their love of collections. 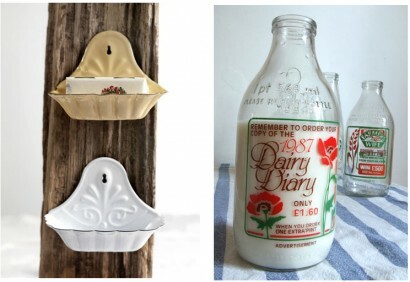 The store features old and vintage home decor objects, tableware and toys. 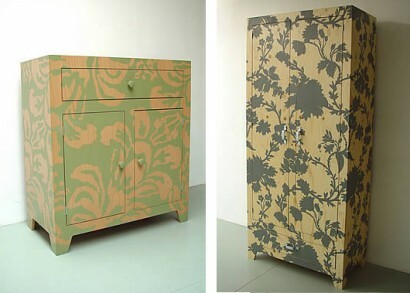 Marlies Spaan and Jolanda Muilenburg silkscreened patterns on beech wood cabinets and wardrobes. 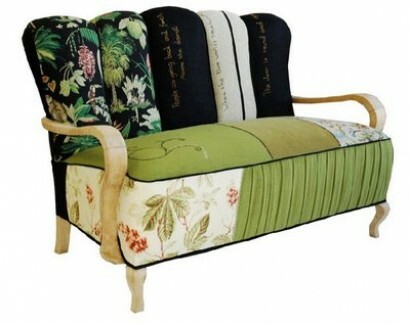 I was also thinking, if you are tired of your old furniture and if your furniture is simply very boring and ugly, it is possible to achieve similar effect by adding some pattern to your furniture through using stencils or wallpaper. 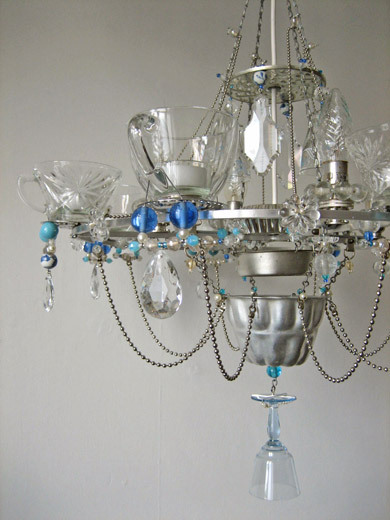 I do not know though if it is going to look as beautiful as the wardrobe on the picture above. 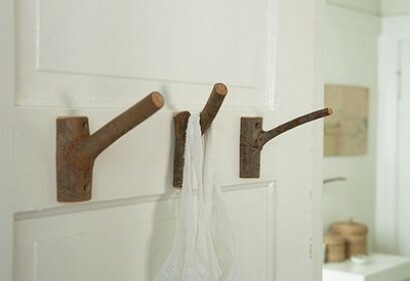 Simple and natural hooks from tree branches by Live Wire Farm. Is there a more universal hook? 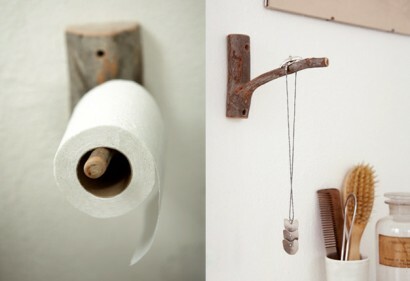 I beleive it is even possible to make one yourself from fallen tree branches. 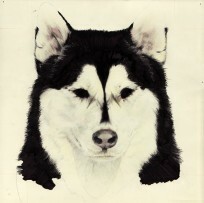 Reform School is a store, web shop and collective based in Los Angeles, CA. 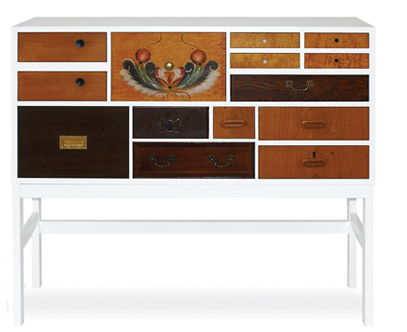 Chest of drawers by Wis Design made out of discarded drawers rescued from flea markets. 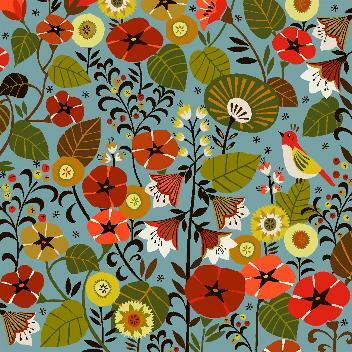 Brie Harrison is a printed textile designer living and working in London. 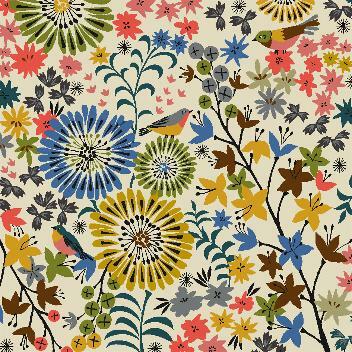 I love her patterns inspired by nature, traveling and children’s books.